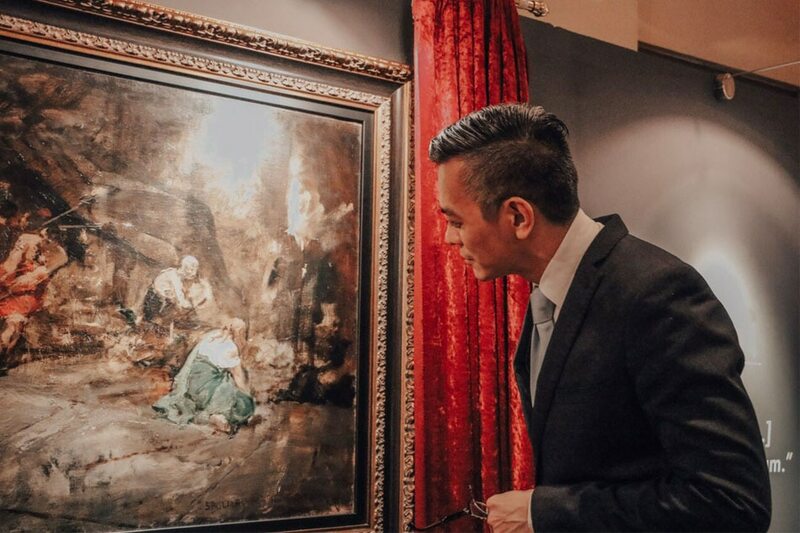 The spotlight is on Richie Lerma this auction season as he unveils, to much excitement, what is believed to be a study of the Spoliarium. 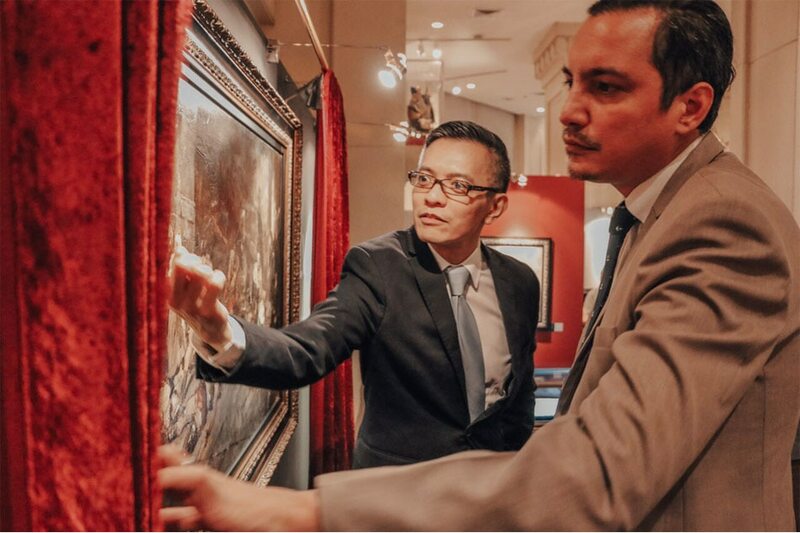 But amidst suspicion on the painting’s authenticity and run-ins with high-profile personalities—Paulino Que included—last night’s favourable endorsement from the National Museum may just give the beleaguered auctioneer his happy ending. Picture this: an entire evening with representatives of posh, high-flying brands such as Louis Vuitton and Dom Perignon in a posh, high-flying venue such as the Manila Peninsula. Picture the gathering of media and high-profile attendees for a vernissage of what could be the biggest art find of the decade. We are regaled with champagne and a menu for upstairs aristocrats. We are shown the latest line of LV bags where, we are told, we can design our own leather handbag according to our own color palette, predilections, and tastes. The LV representative showing us the new line tells us that whatever we like, “everything’s a yes.” It’s catchy. It’s unprecedented. It’s practically a hashtag. The Dom Perignon representative gives us a speech about the champagne we sip tonight. The vintner behind our bubbly this evening has stopped at nothing to produce a world-class vintage. There is the perfect amount of froth in our glasses; the whisks of bubbly in our flutes sparkle like stars. And that's exactly what the vintner had in mind--for this privileged ensemble to "drink stars." In front of us, a curtained stage has been set up. We know it masks the art find of the year—Luna’s Spoliarium study, its authenticity not yet clearly established, but its provenance somewhat foolproof. It will be revealed to us in the middle of our supper, with no less than Carl Orff’s Carmina Burana playing in the background—the very music of suspense itself; the soundtrack of our hearts in keen, starry anticipation of what we know will be unveiled before the evening ends. We know what it is, we just haven’t seen it yet. At least for tonight, we are well-appointed. We sit among nice, expensive things: Amorsolos, Venturas, Orlinas, Cacnios and LV bags. 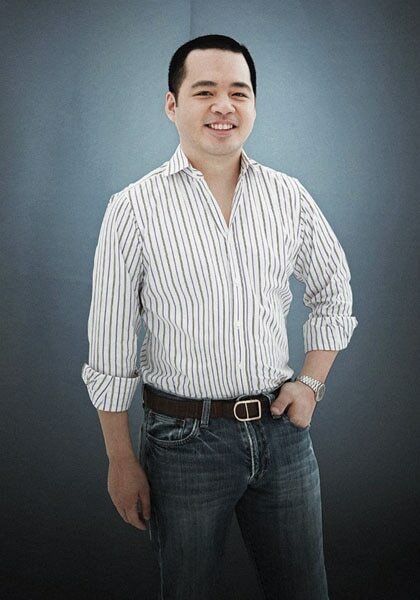 Were this version of life to have a poster boy, it would have to be our host, Ramon “Richie” Lerma of Salcedo Auctions. He is impeccably dressed, and he sports what looks to be an expensive haircut: tapered, not shorn at the sides—a slick mop of hair parted exquisitely to one side. Handsome and boyish, it is hard to arrive at Lerma’s actual age—he’s not 40 and not 50, but he’s crawling gracefully there. For the past few weeks, Lerma has been making the painstaking case for the authenticity of the Spoliarium boceto that a privileged Spanish family has consigned to his care. This family are the heirs of one Don Xosé Vázquez Castiñeira, who passed it on to his daughter-in-law, and she to the current owners. With little more than their word, Lerma has grasped at straws to establish provenance. Lerma has had few leads and a couple of theories. The first one goes that Castiñeira inherited the pieces from Don Mattias Lopez—a tycoon from the same small town as Castiñeira. Lerma posits that Lopez met Luna ahead of the Paris Exposition of 1889, where the study was showcased in a Spanish Pavilion. This theory goes that Luna presented the study as a gift to Lopez, or that Lopez maybe purchased the painting from Luna. Lopez then passed on the study to the Castiñeira patriarch, and he to his heirs. The second theory is what holds deeper water than the first. Other Castiñeira heirs have come forward to Lerma and have traced the provenance of their Lunas (not the study, but other equally important pieces) to no less than ilustrado Pedro Paterno. Paterno was married to a privileged woman who hailed from the same Spanish province as the Castiñeiras. The new theory goes that Paterno’s wife somehow gave the Castiñeiras the study. This other set of Castiñeira heirs were the previous owners of “España y Filipinas,” the Luna painting purchased by the National Gallery of Singapore from a Sotheby’s auction a few years ago. The one thing lending credence to the authenticity of the Spoliarium study is the authenticity of “Espana y Filipinas,” which is now part of the permanent collection of one of Asia’s most important museums. These new developments have come to public attention within weeks of each other. Lerma has made a passionate case for both theories. He’s a master storyteller—so much so that we take as truth each theory as it comes. Never mind that the first theory was slippery at best—as much a work of Lerma’s imagination as the best detective fiction to come out of the country in recent years. This is perhaps Lerma’s gift—to have conviction enough for both himself and his audience. Kool-Aid? Let me have it by the pitcher. Despite his charisma, style, and panache, Lerma is no stranger to criticism. Town talk mentions this and that slight against Salcedo Auctions; private talk among major players in the art scene has often involved Lerma’s aloof manner—but without actual recordings, this is idle gossip. Like the boceto, we want proof—and it comes in the form of the legal matter set upon Salcedo Auctions in recent months by a disgruntled former business partner. 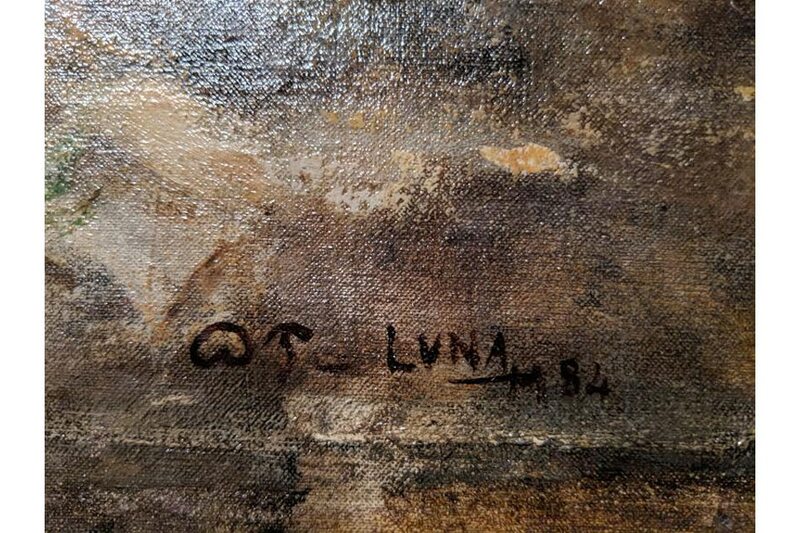 On the bottom right hand painting of the Spoliarium boceto, as everyone now knows, is Luna’s signature in baybayin. It’s a pre-colonial, Ilokano version of his name: Bulan. This signature lends credence to the authenticity of the piece—it is a rare though historically-acknowledged detail. Any other authentic Luna work with the same syllables could corroborate this claim. A painting, say, like “En el Palco,” a painting owned by legendary collector Paulino Que. Lerma’s researcher approached Que’s daughter Kimberly—she was a classmate from school. She tells Kimberly that she’s “trying to find inscriptions of baybayin in Philippine art,” indicating that Luna used the pre-colonial syllables to sign the mentioned work. Kimberly asked for her mother, Mrs. Hetty Que’s permission, and the latter agreed, given that it was presented as material to further research. The Ques were dismayed to find that the photo was used in the catalogue for the Well-Appointed Life auction. It’s an unauthorized inclusion—Kimberly Que is credited with extra photos in the acknowledgements, but the Ques’ permission was never sought for publication. Some consider this a wily move on the part of Salcedo Auctions—as though by the inclusion of the photos by Que’s daughter, the collector had given his blessing to the Lermas’ project, and lent credibility, in fact, to the authenticity of the boceto. For the Ques this was a duplicitous act. Richie and his wife, Karen, have apologized to the Que family, but the catalogue has already been sent out to the privileged sphere of the Salcedo Auctions mailing list. In the meantime, we look to the near future at what could be the biggest auction of the year. The boceto, along with many other coveted items, goes on auction on September 22. Thus far, the study has been revealed three times to the public and members of the media since the story broke two weeks ago. And provenance Lerma has—especially given the latest developments in the story. Two sets of Castiñeira hers have come forward— both groups, in independent reports to Lerma, have traced the provenance of their Lunas to Doña Maria Nunez Rodriguez. 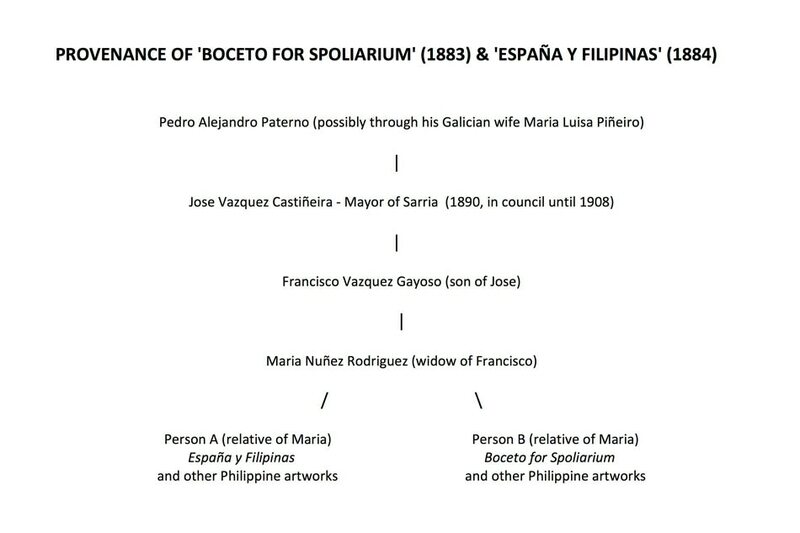 As we have mentioned, one set of heirs are the previous owners of España y Filipinas, and the other set are the current owners of the Spoliarium study. We have been privy to these emails and correspondences, and they promise more surprising turns ahead for Salcedo Auctions. Suffice it to say that Lerma’s relationship with the Castiñeira heirs will continue far beyond the auction, and that there are other Lunas from this private European collection that might turn up very soon. Provenance of the Luna paintings as relayed to Lerma by the Castiñeira heirs. One duty, Barns says, that the National Museum has is to safeguard the study’s painting in the Philippines. “We will classify this painting as among this cultural property that needs clearance to leave this country.” Lerma considers this a major win— a true mark of its authenticity. Whatever the future holds for the boceto is anybody’s guess. But tonight, we hear the first bars of Carmina Burana, and just as the music swells from mezzo piano to forte, we hear the whoosh of a curtain, and there it is—the painting we’ve all come to see, the spectacle and sad weight of it all, and as if on cue, we break into applause.